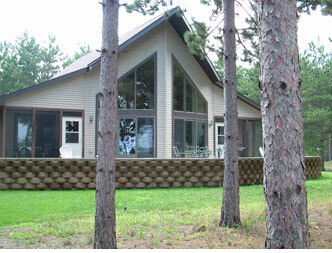 Pine Haven is one of those lakefront homes that is hard to resist! 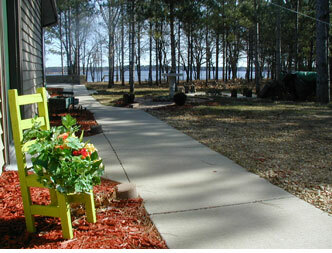 The lake seems to call to you, as the landscaping leads you to the beautiful shoreline. 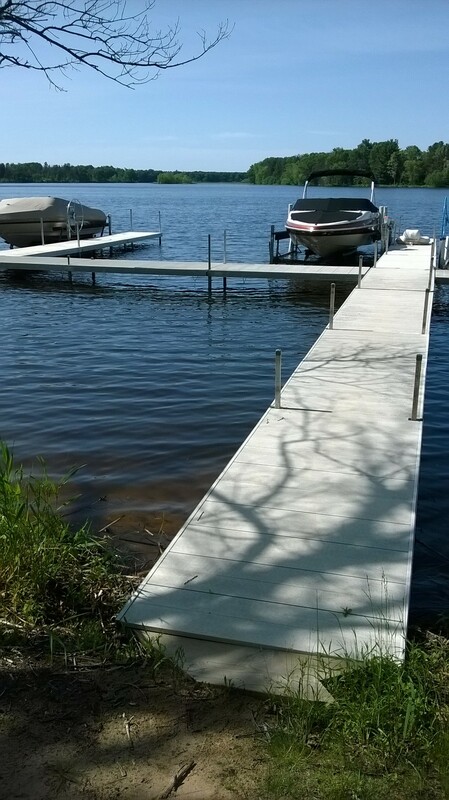 A community swimming pier in front of this home extends 80’ into the sandy shallows making this the perfect place with the little ones. 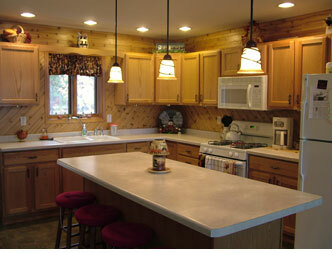 This 1,800 sq. 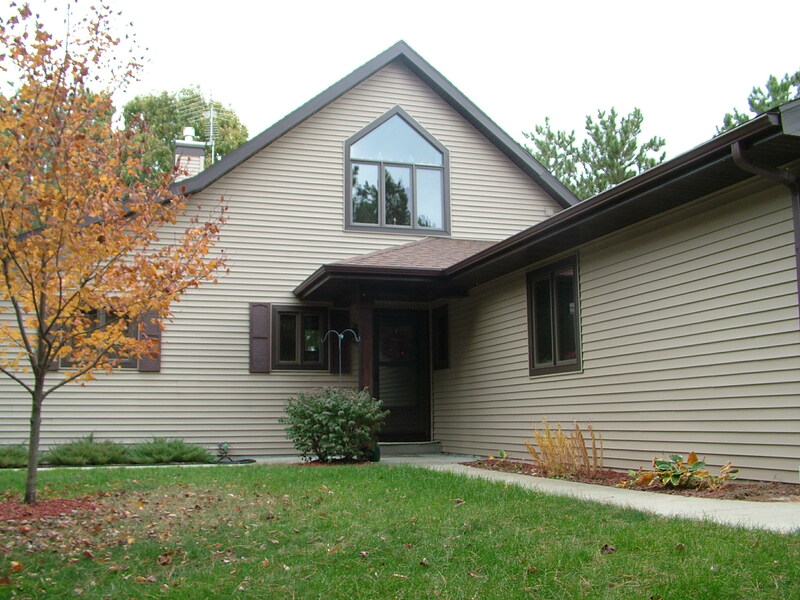 ft. home melds with the natural landscaping on this wooded acre … as you enjoy the lake breezes and cool canopy of stately pines. Meander the groomed paths under the tall trees and lighten your heart with the Disney statues guiding your way. 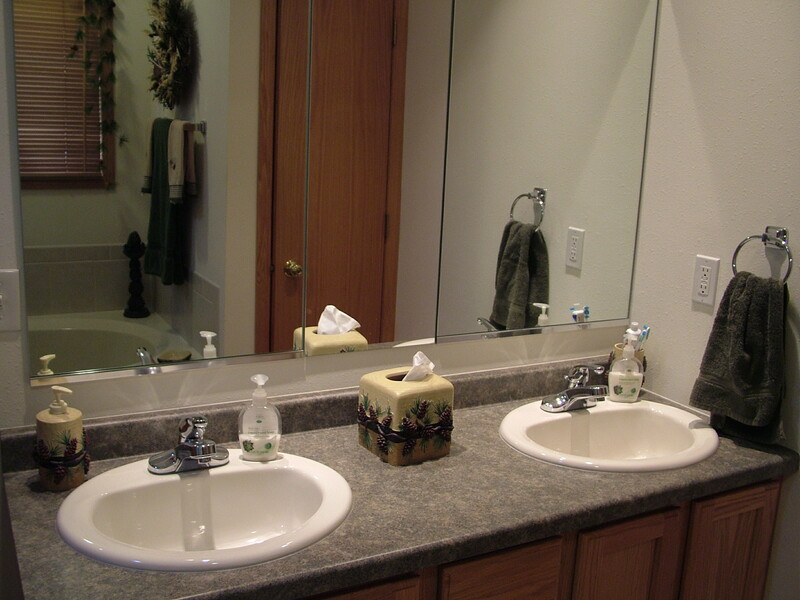 Bring your boat (launch is located just at the end of the block) or rent from the nearby marina. 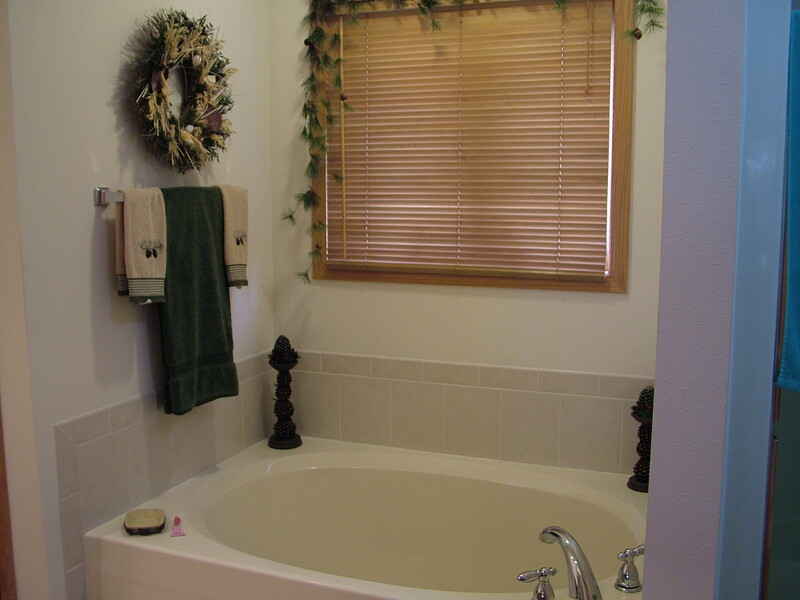 Make this home on Castle Rock Lake your haven for some lasting vacation memories. 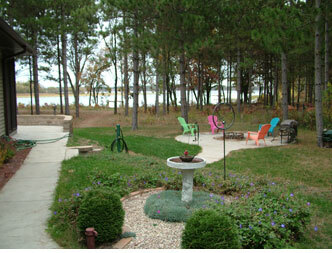 Peace and tranquility will be yours as you listen to the gentle waves from the custom-built raised concrete patio. 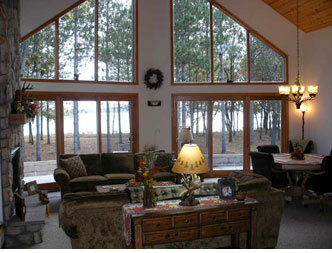 Or let the two lakeside screened-in porches provide a sitting area that protects you from the elements. Step inside and you will immediately feel comforted, while still experiencing that connection of being outdoors. 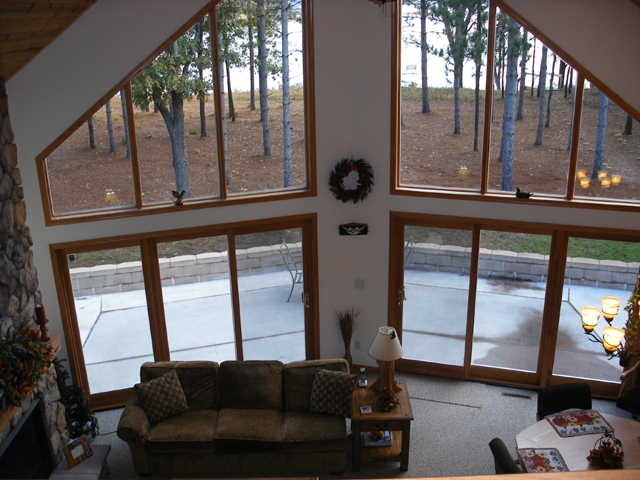 Between the knotty-pine covered cathedral ceiling and full wall of lakeside windows, there’s lake views throughout the home! 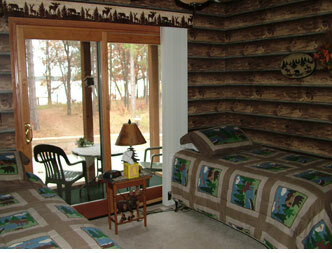 Savor the rustic ambience throughout Pine Haven on the Lake. Strike up a game of chess at the custom-built ‘chessboard’ cocktail table or enjoy a friendly card game at the dining table in the great room. 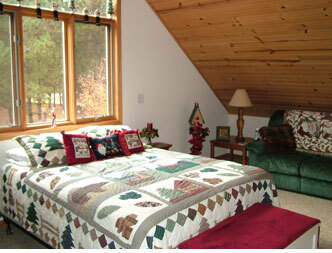 In the enchanting country loft, dream in the afternoon sunshine, view the sparkling waters or capture the starry night. Take solace from the fieldstone gas fireplace. 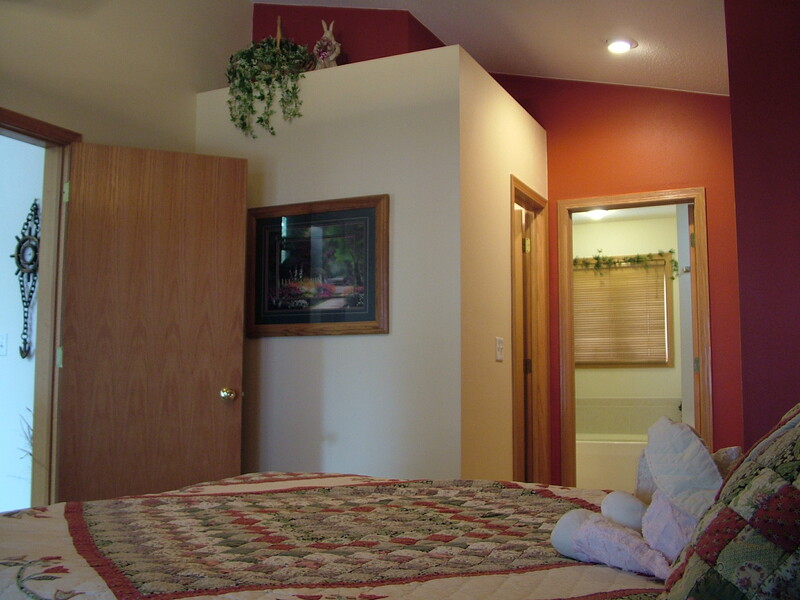 Find your retreat in the sitting area of the loft, the cheerful dining room to enjoy a cup of coffee, or from one of the two private screened-in porches extending from the bedrooms. 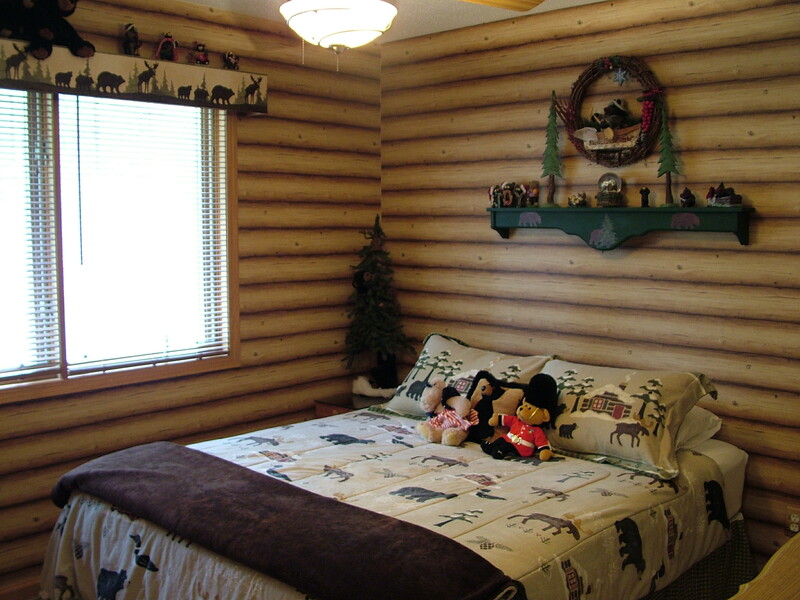 You will be enlightened with the charming northwoods décor. 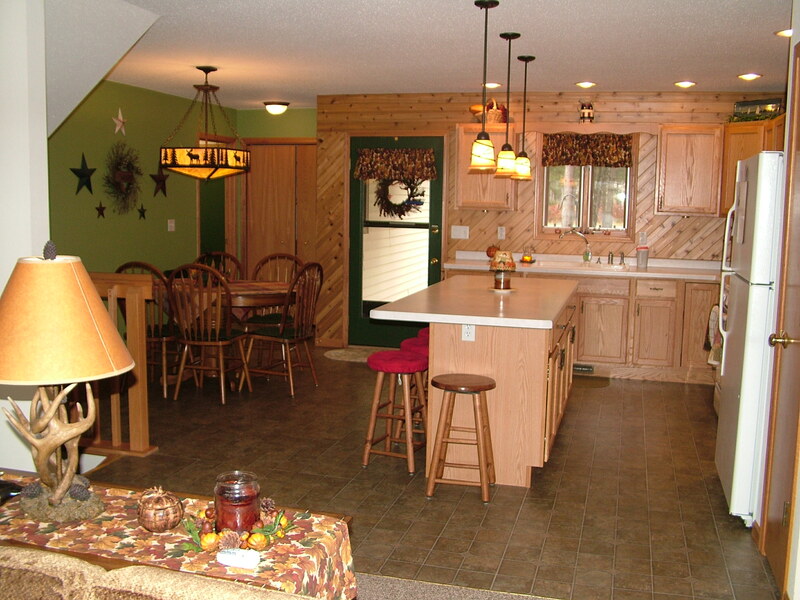 Once evening sets in, you’ll have a hard time choosing between hibernating in your favorite room or gathering at the campfire. Sit a while — mesmerized by the dancing flames and embers — reflecting on the wonderful day you just shared. 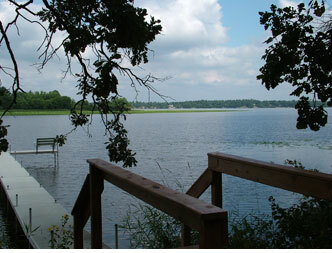 Enjoy the many beaches, lakeside restaurants, fishing and excellent boating on Castle Rock Lake. Bring your bikes, hiking shoes, snowmobiles, ATVs and golf clubs … for the championship golf courses and many trails in our area. 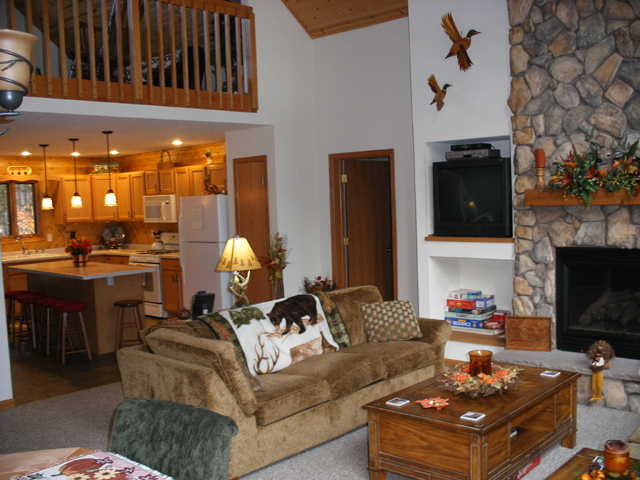 Nearby attractions include the Necedah Wildlife Refuge (the largest in Wisconsin), Elroy Bike Trail, canoeing / kayaking the Wisconsin and Lemonwier River, gaming casinos … or a day trip to the Frank Lloyd Wright center & House on the Rock. 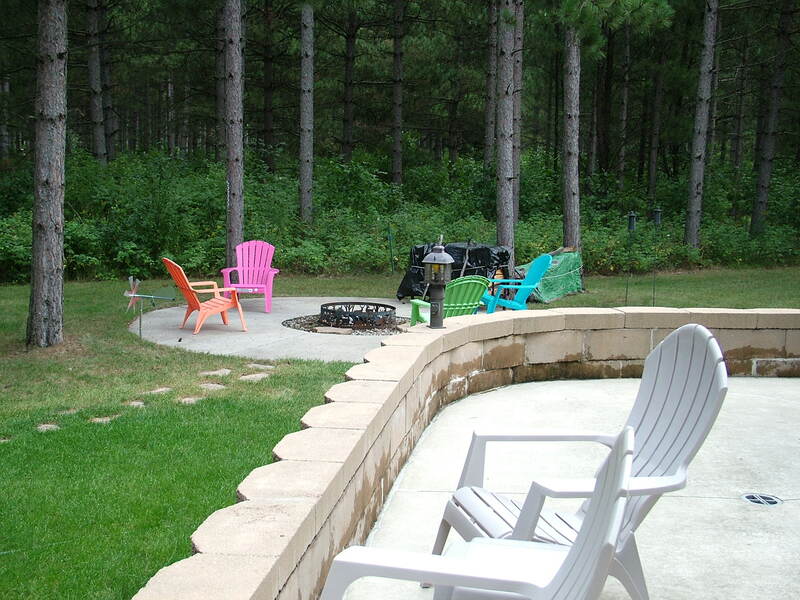 All this, and only 30 minutes from the Wisconsin Dells experience! Relaxation or exhilarating activities — the choice is yours. Designated slip for one boat on community pier (remove during inclement weather).